At Access Dental, we can help get you some relief from jaw pain and tightness with Temporomandibular Joint Disorder (TMD) therapy. Do you suffer from unexplained pain in your ears, neck, and shoulders? It might surprise you to learn that these aches and pains are caused by the temporomandibular joint (TMJ) which connects your jaw to your skull. You can actually feel it if you place your finger in front of each ear and open and close your mouth — it’s where the lower jaw and upper jaw connect. It’s the most flexible joint in the body, but if it becomes misaligned, it can cause a number of painful and limiting symptoms. Luckily, we can help you get some relief with Temporomandibular Joint Disorder (TMD) therapy. You may be asking yourself, how do I know if I have this? Well for one, you’ll start to experience a number of painful symptoms like migraine headaches and ear pain. You may also have one of the underlying “risk factors” that increases your chances of developing the disorder. Common issues like bruxism, misaligned teeth, bad posture, synovitis, jaw or facial injury, and arthritis can increase your risk of developing TMD. If you have one or more of the risk factors and are suffering from the known symptoms listed above, it’s important that you schedule a consultation with our team today. Typically, TMD is caused by a misaligned jaw which places pressure on the surrounding trigeminal nerve, muscles, tendons, and other bones. This causes a wide array of symptoms that often are misdiagnosed. It can also cause increased tooth sensitivity and other serious oral problems, like periodontal disease, if left undiagnosed. TMD is also a degenerative disease that if left untreated can lead to worsening pain and symptoms. 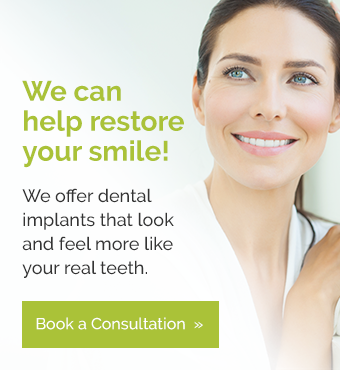 At Access Dental, we offer a number of treatment options to provide relief and correct TMJ-related issues. Depending on the severity of the symptoms, your dentist may recommend a combination of treatments to ensure they don’t continue to provide discomfort and other problems. Thankfully, our dentists can help you get to the root of the problem and provide treatment to get you the relief you need. If you’re dealing with frustrating pains and need a solution, please don’t hesitate to contact us today.